GNS Wireless offers network design of routing and switching equipment for basic and advanced network connectivity. For a network consultation or specific application design questions, please contact us directly at (516) 214-0321. GNS Wireless will assist in hardware selection for network connectivity. Examples include: routers, switches, firewalls, VPN connections, patch panels, rack mounts, point to point applications, point to multi-point applications, etc. GNS Wireless will provide recommendations, mapping, and diagramming for application specific network layouts. Examples include RV Park/Campground/Marina overview layouts with Wi-Fi coverage estimates, antenna placement and bandwidth recommendations. Basic hardware configuration and staging of routers, access points, antennas, network appliances, firewalls, etc. Configuration is limited to connectivity, IP configuration, device naming and encryption. Basic device configuration for bandwidth management, VPN, firewall setup, or Authentication gateway configuration. GNS Wireless will work with the end user, or systems integrator to pre-configure application specific network management. Assistance with radio equipment and accessory selection to find the correct products to provide a functional solution while meeting the needs of the particular application. Both indoor wireless network solutions, and outdoor Wi-Fi network solutions. Wireless network design services for existing and new TDM transport across point-to-point microwave links. TDM over wireless backhaul, and TDM over wireless ethernet broadband point to point connections. Wireless network design services for existing and new IP transport across point-to-point microwave links. Transparent connections using a point to point wireless bridge, ethernet backhaul, using layer 2 and/or layer 3 IP protocols to sustain a transparent link between your two locations. Wireless network design services for simultaneous IP and TDM transport across point-to-point microwave links. This includes but is not limited to layer 3 transparent bridging networks between two locations, or wireless bridge 802.11N wireless routers, for sharing files, voice, video between two or more locations, using a wireless ethernet bridge, wireless backhaul, or T1 replacement. Network consultation and assistance with selecting microwave equipment types (all indoor, all outdoor, split, etc.) for use in the microwave network. Outdoor wireless bridge antennas using POE, indoor wireless bridge antennas using direct power, or power over ethernet, and split design using outdoor radios with indoor network controllers for long range, point to point broadband connections. Wireless network design services for all-indoor configured microwave PTP links. Including short range wireless network bridge, and indoor wireless router bridge. Similar to using two linksys routers for point to point bridge connectivity. Wireless network design services for all-outdoor configured microwave PTP links. Long range microwave broadband backhauls, and long range wireless bridge, point to point wireless connections. Establish a secure, reliable, high throughput connection between your offices. Wireless network design services for split-mount configured microwave PTP links. Using indoor network controllers, and outdoor radio design equipment, long range wireless backhauls are provided. Typical installations include the use of 60GHz wireless broadband, and/or 80GHz wireless broadband antennas. Coaxial cable used between the outdoor bridge antenna and indoor network controller. Antenna selection and assistance for microwave PTP links. 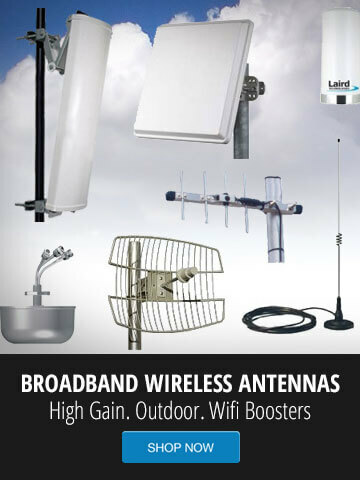 Includes outdoor dish antenna, outdoor grid antenna, outdoor patch or directional panel antenna, omni-directional antennas for wireless hotspot configuration, and yagi antennas. Wireless network design services for panel style antennas in a microwave PTP link. Panel antennas would be used for short range point to point wireless networks, and long range point to point wireless network bridge setups, or PTP. Wireless network design services for dish style antennas in a microwave PTP link. GNS Wireless stocks a wide range of high gain dish antennas from Radwin, Cambium and Radio Waves. Dish antennas provide for secure, reliable, long range, outdoor wireless broadband network connections. Radome design and specific considerations for antennas in a microwave PTP network. Cable and Accessory Selection / Compatibility. Assistance and recommendations of cables and accessories to fit / match antenna and radio interfaces as well as provide appropriate cable-loss requirements, sizing, etc. GNS Wireless stocks LMR400 type coaxial cable, LMR195 type coaxial cable, LMR240 coaxial cable, by the foot, and by the spool. In stock and ready to ship. N-Type coaxial connections, RPTNC, RPSMA, and TNC, SMA connectors in stock. Determination of wind-loading specifications and measurements for each antenna selected. Assistance with selection and recommendation of hardware mounting poles, brackets, stand-offs, and other types for use in microwave antenna & radio installation. Universal wall mounts, universal stand off antenna brackets, antenna mounts, antenna hardware accessories, pole mount hardware, tripods, antenna masts, 2.4GHz/5Ghz non-penetrating roof mounts. In Stock. Network consultation and assistance with determining polarization benefits for each microwave PTP link. Design assistance with microwave links to determine benefits of and mounting requirements for space diversity mounts. Off-shore and other Specialized Mounts. Design assistance to take into consideration mounts specific to mobile, off-shore, antenna tracking, and other specialized PTP microwave links. Land to shore point to point wireless communication setup and design, Wireless network design, configuration and installation.